National Chicken Curry Day is here! 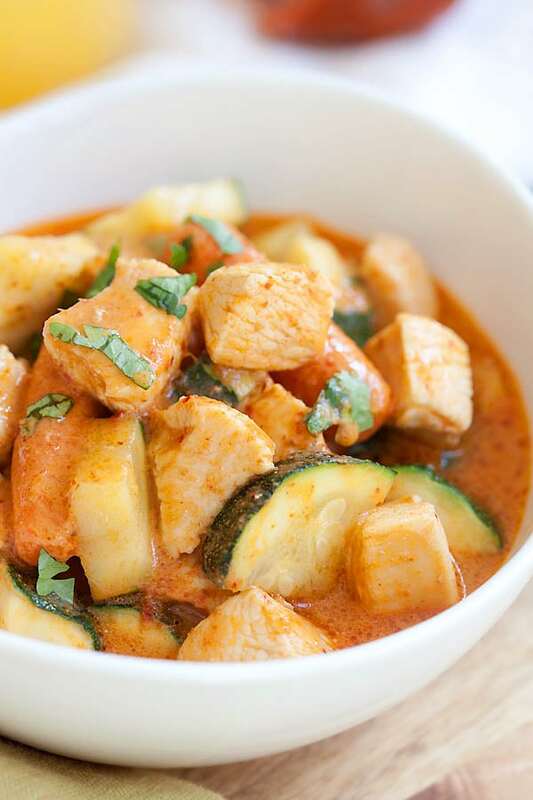 Whip up this lighter Chicken Curry recipe today! Rinse chicken and cut into 1-inch pieces. In a bowl, sprinkle the chicken with the curry and cinnamon, toss and set aside. Heat a non-stick skillet over medium-high heat. Add the onion and zucchini and cook until softened, 3-5 minutes. Transfer to a plate. Add the chicken and cook until browned on all sides, about 5 minutes total. Add the supplement, milk and pepper. Bring to a gentle simmer. Return the onion and zucchini to the skillet and heat until the chicken is cooked through, 5-7 minutes. Scoop prepared couscous and place into a bowl. Top with the curry chicken and sprinkle with basil.